The northern part of Bonaire is an arid and largely uninhabited region. With its cactus and dusty trails, it looks like it could be a location for filming a Western. Much of this area is devoted to the preservation of nature. 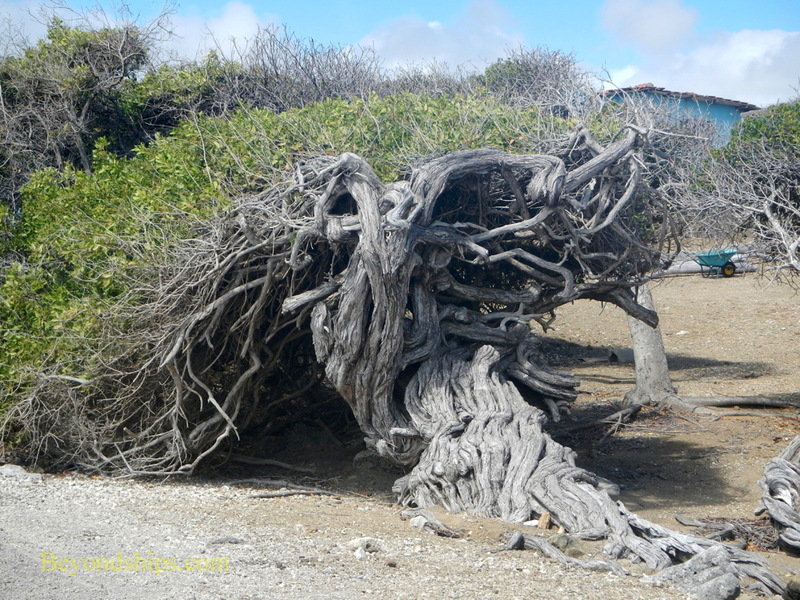 The Washington Slagbaai National Park encompasses some 14,000 acres in the northwest of Bonaire. The park was founded in 1969 when the Washington Plantation was given to the government on condition that it be kept in a natural state and open to the public. In 1979, the neighboring Slagbaai Plantation was added to the park. The plantations have been allowed to return to their natural state and so the area is rough and wild. 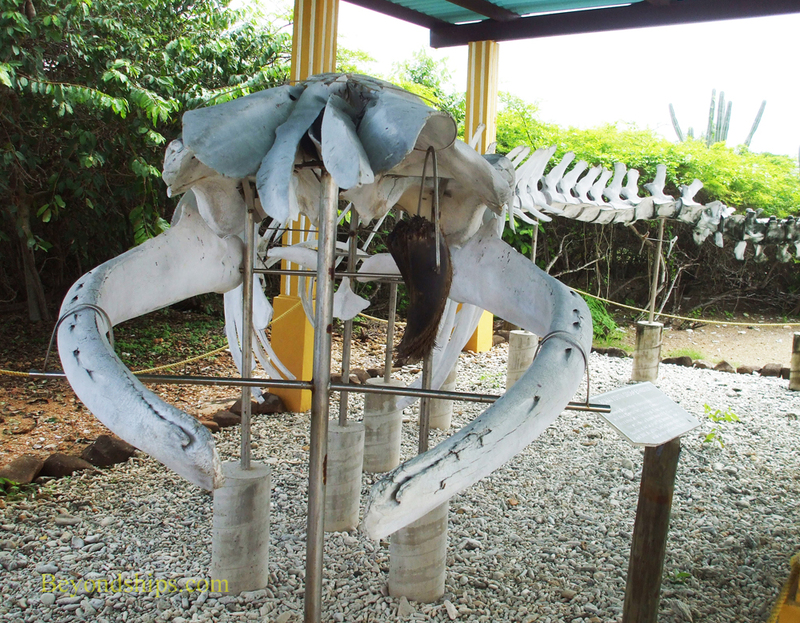 At the entrance to the park is a visitor center with exhibits about nature and rural life on Bonaire. Inside the park are hiking trails as well as a road best suited for jeeps and 4-wheel drive vechicles.. The park has a number of isolated beaches, some of which are used by swimmers and some of which are too dangerous to swim. 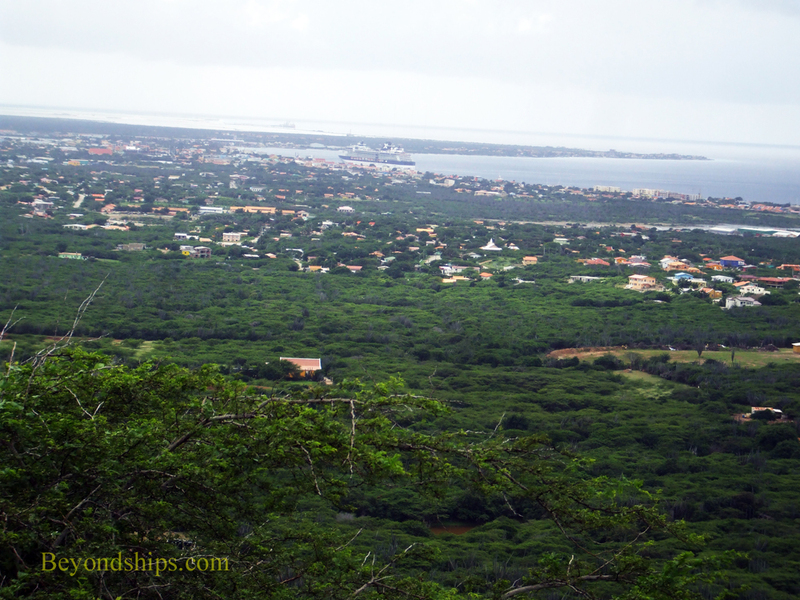 It also contains Brandaris, the highest peak on Bonaire (797 ft.). 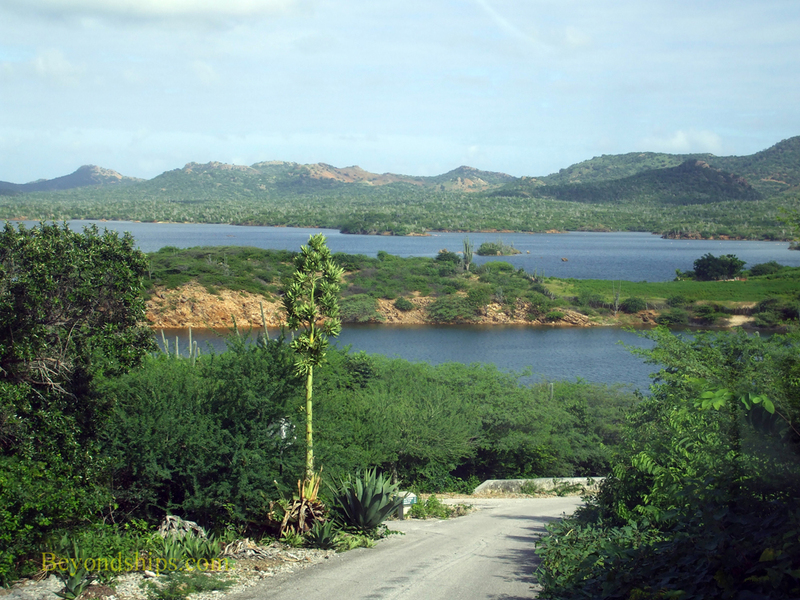 Furthermore, with more than 100 species of birds, the park has a reputation for birdwatching..
Also in northern Bonaire is Goto Meer, a large, undeveloped salt lake. Goto's shallow waters attract flamingos who dine on its brine shrimp, brine fly and larvae. Sergu Largo (“large hill”) has a vantage point with panoramic views over Kralendijk and the southern portion of the island. In 2000, a monument was erected there that included a statue of the Virgin Mary. The monument remains although the statue has disappeared. Although located south of Kralendijk, the Bonaire Donkey Sanctuary is sometimes included in tours covering the natural wonders of Bonaire. During the colonial period, donkeys were brought to Bonaire as beasts of burden. Some of these escaped and live wild. Other donkeys were neglected by their owners. In order to assist these animals, two Dutch nationals started the Donkey Sanctuary in 1993. They provide food, water and medical care to distressed donkeys. There are some 400 donkeys living at the sanctuary. Most are not shy and enjoy seeing what visitors have brought for them. Food for the donkeys can be purchased at the sanctuary. 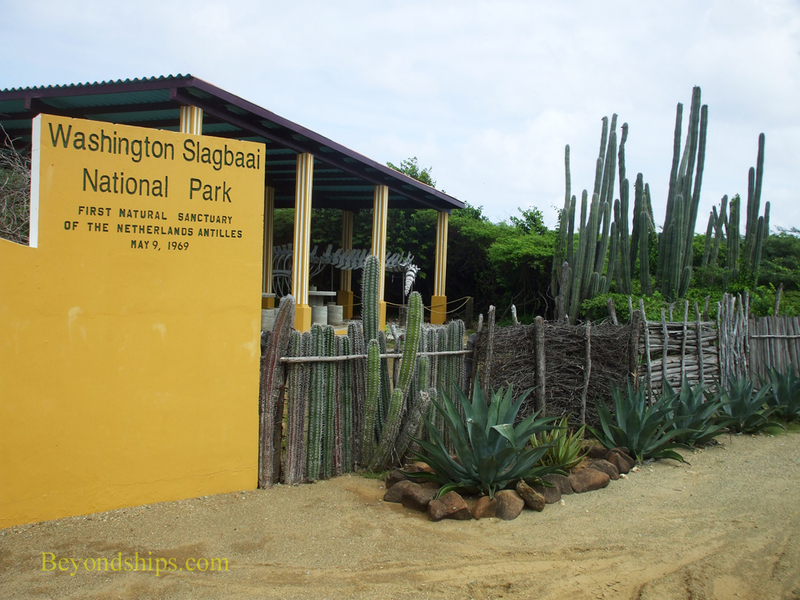 Above: The entrance to Washington Slagbaai National Park. ​Below: An exhibit at the Visitor Center. Left: The monument at Seru Largu. Below: A view from Sergu Largu.